Lowbrow Press LLC, 9780982955307, 102pp. 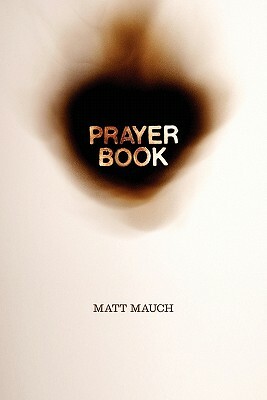 In one of the prayer-poems compiled in Matt Mauch's Prayer Book, the speaker prays to a rock without coming across as phony. Though essentially secular, there is, in these poems, a gut-level understanding of an individual's turn toward that which is instinctually divine-a rejection of dogma and rules in an attempt to take back something essential: the feeling (rather than the idea) of prayer as hope, prayer as song, prayer as poem. Among the laundromats, VFWs, parking lots, and backyard cookouts-many of the poems occurring in places where urban and natural landscapes meet-are often-humorous portraits of vulnerability warring with a kind of I-don't-want-to-wilt-too-much strength. The various speakers are lying in a ditch, wanting to become a brick in a building, communing with a pigeon, stuck in moments they want to get out of (or get something out of), wandering and wondering when they crave the ability to be arriving and deciding. Matt Mauch grew up in small Midwestern towns between the Missouri and Mississippi rivers, in the snow and wind-chill belt. He is the author of Prayer Book (Lowbrow Press 2011) and the chapbook The Book of Modern Prayer (Palimpsest Press 2010). His poems have recently appeared or are forthcoming in Salt Hill, NOO Journal, DIAGRAM, The Journal, Willow Springs, The Squaw Valley Review, The Los Angeles Review, Sonora Review, and elsewhere. The editor of Poetry City, USA, Vol. 1 (fLowbrow Press 2011), Mauch teaches writing and literature in the AFA program at Normandale Community College, and also coordinates the reading series there. He lives in Minneapolis."